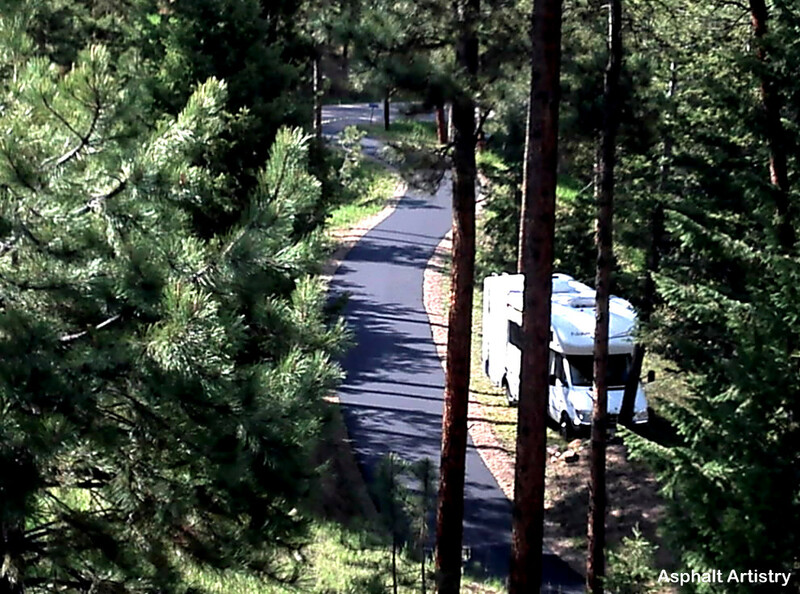 Welcome to Asphalt Artistry – where it’s not just a driveway, it is a work of art. In the asphalt paving industry since 1993, we understand that you want more than just a way to get your car into the garage. Your driveway is often the first impression that people will have of your home and the way it looks is important. 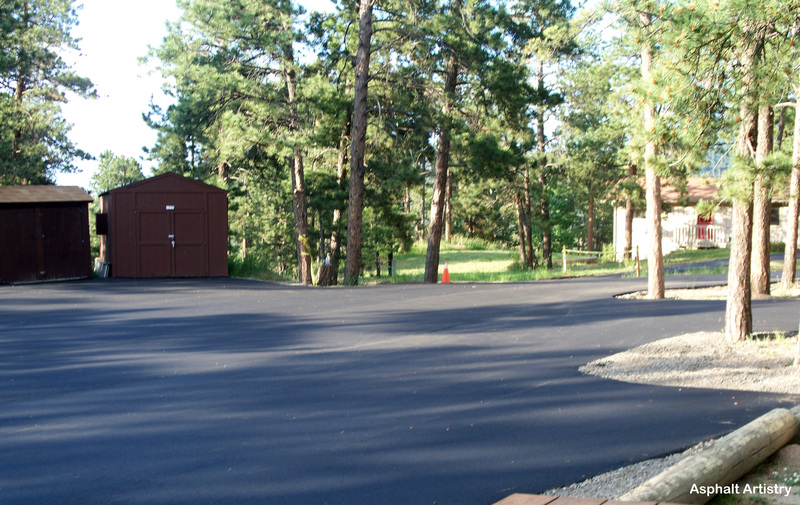 We can help you maintain your gravel driveway with grading and importation of new material, or your asphalt driveway with crack sealing, asphalt patching, or asphalt overlays, and when your existing driveway no longer meets your standards we will remove and replace the aged surface with new asphalt, improving look of your home. 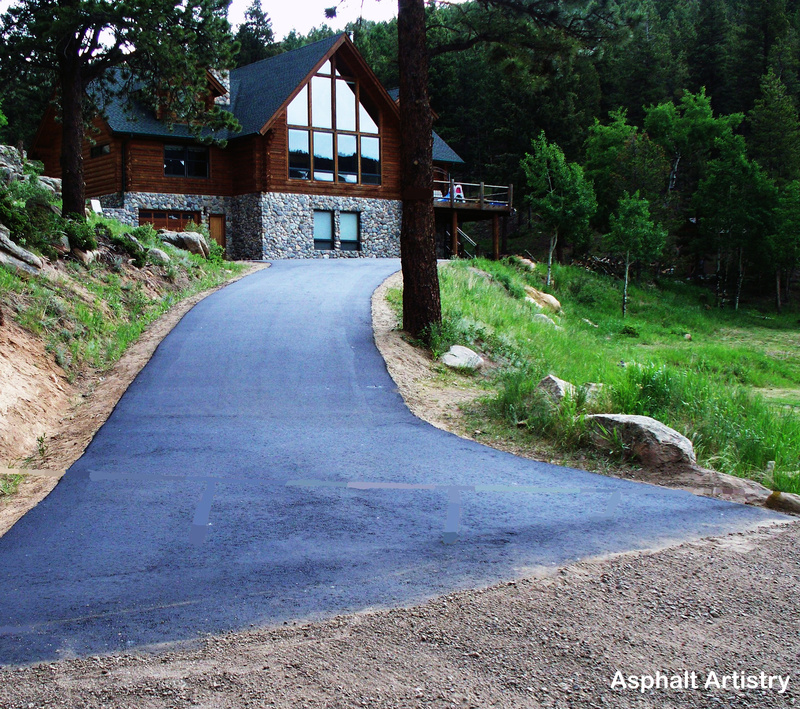 Our mountain climate requires a mountain paving company that uses proper installation techniques to ensure the longevity of your asphalt driveway. 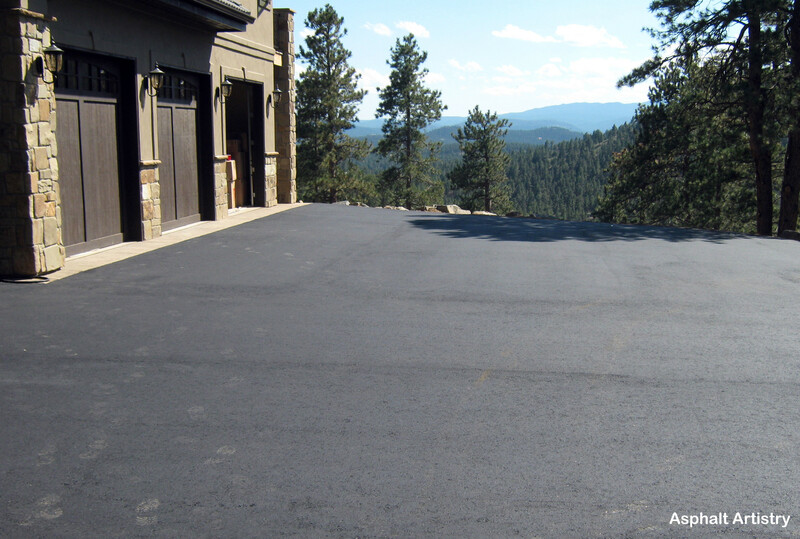 When you contract with Asphalt Artistry you can expect extensive knowledge and experience, researched and perfected sub grade work and quality material laid down with the right amount of compaction. Asphalt is a cost-effective alternative to concrete driveways or brick pavers as well as being the most practical solution, allowing for movement in a climate that offers extreme cold and heavy snow followed by blazing sun and intense heat. 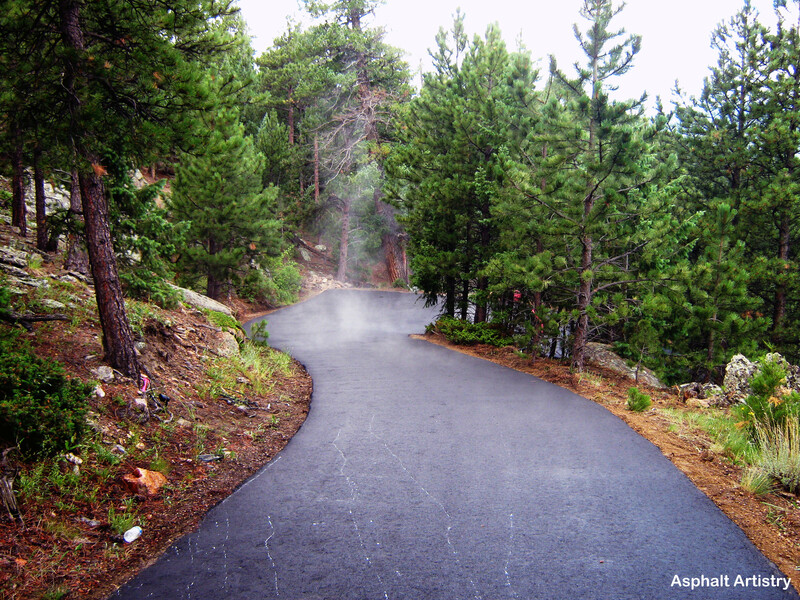 Asphalt is less prone to cracking and disintegration and can be maintained over the years with high quality patching and sealing techniques. If damage occurs, patching not only prevents the damage from spreading but helps maintain the aesthetic quality of your driveway. We are licensed, insured and experienced with a reputation that will give you the assurance you deserve when you contract an asphalt company. An Asphalt Artistry driveway will enhance your landscape and will give your home or business the grand entrance it needs, because it’s not just a driveway, it is a work of art!